In this interview, we talk to Stewart Kirkland, one of sparqs’ new Associate Trainers for 2018-19. After a 13-year career in the Royal Air Force he went on to hold a variety of positions with the police in Scotland. “Retiring” as a Police Inspector in 2017, Stewart then enrolled on an access to degree course at Forth Valley College. It was whilst there he enjoyed being the class rep and also where he was elected Mature Students’ Officer in the students’ association. Whilst at college he completed a mental health first aid training course and represented his institution at a joint event for young people in conjunction with the police and the Army. During his academic year at Forth Valley College Stewart’s contributions were acknowledged by his curriculum manager and his nomination for a 2018 SQA Star award was endorsed by the college executive. He is presently a caseworker with SSAFA, the veterans’ charity, Soldiers Sailors and Air Force families’ Association. In his spare time over the summer he volunteered with the Special Olympics GB team, assisting at various venues hosted by University of Stirling. Stewart has just started a degree in Psychology at Edinburgh Napier University which he hopes will present a number of further career options. 1. Tell us a little about your journey to this point. What inspired you to leave your career to study? I left school to train to work in a foundry with just an O-Level in arithmetic. Realising then that education was actually quite important after all, I enrolled in a night class to gain an O-Level in English in order to join the Forces. It wasn’t long before I realised that a little more education would allow me to progress a bit further. So, lots of distance learning (and I mean distance learning as I studied from a base in Germany) later and with my qualifications adding up I gained promotion in my role. These qualifications allowed me to join the police and I then continued my studies once again, this time at the Scottish Police College in Kincardine. During my time in the police there wasn’t a year that passed without me studying for a promotion exam or some other career development exam or other. And looking back now, not studying seems quite alien to me. I enjoyed sharing what I learnt and whilst at Edinburgh Airport I developed a bespoke training package for the police where we explored a multi-agency response to significant incidents. I delivered this to first responders and was proud to see my training package adopted at other Scottish Airports. In January 2017 I chose the option to retire on concluding 30 years’ service with the police but three months into retirement I was itching to get my teeth into a new challenge. Throughout my military and police career I undertook night school studies and achieved additional qualifications that varied from Mathematics, Commerce to BSL (British Sign Language). There was also continuous professional development, being proficient in weapons handling, lessons I had learnt from critical incidents and self-reflection on training that I subsequently delivered. I found I had picked up many of the qualities that lecturers, counsellors and psychologists possess. Retiring made me realise that I still had at least one more career in me. However, I also realised that I would have to pursue relevant qualifications if I was to achieve my ambition and this meant a programme of further study. I was excited once again. Completing my studies at Forth Valley College has led to my acceptance at Edinburgh Napier University and in retrospect, it was the act of leaving my career that was my inspiration to continue to study, rather than the other way around. 2. During your access course you applied to be one of our Associate Trainers. What got you interested in that opportunity? As I have already mentioned, I was a class rep at college but I started out with limited knowledge of what being a class rep actually involved. It was only once I matured in the role that I began to appreciate the full value of what that representation meant to students, the SA and the faculty. I really benefitted from the class rep training and the encouragement that I received from the SA President to become more involved. It was this combined exposure to sparqs that ignited my interest to become part of the team. 3. You recently attended our Associate Trainer residential training event. How did you find that? One word, fantastic. But just to expand a little... I found the content fresh and really relevant. I made a note of one of your opening comments, “look at what works well and then ask, what can we do to improve it”? There is no resting on your laurels with sparqs and it was obvious to all present that the training evolves continuously. This wasn’t a product taken off the shelf, dusted down and delivered to a new batch for 2018. The pre-event information, the venue, the variety of training techniques, the self-reflection and overwhelming enthusiasm of the trainers all rubbed off on everyone present. Being a mature student I consider myself fortunate to have also learned so much from those far younger than myself that were on the course. I am not ashamed to admit to stealing some of the fresh approaches and gems of wisdom that I heard during training. I also benefitted greatly from technical advice offered freely in respect of my IT needs! What stood out though was the international element and not forgetting the increase in size of my contacts list. 4. You mentioned that you had training responsibilities in your past jobs, so what do you think makes for good training in general? And what specifically do you think the key ingredients of effective course rep training are? Perhaps I could answer by saying that I know what makes for bad training. An appreciation of poor delivery techniques, rather than poor content, is very useful to have. I have been involved in delivering training in a variety of roles but what I tried to introduce, regardless of the topic, was a fun element. I consider it to be equally important to listen to your students and have them share relevant experiences and thoughts on what you are trying to deliver. Achieve this and in general terms your aims and objectives will be more easily achieved. I really believe that course rep training needs to actively involve everyone in the room right from the start. To be effective, the class need to be reminded that they are the experts in their own learning, and be strongly reminded that they in turn need to leave the training with the determination to share that with those that they represent. The training must be relevant, delivered professionally and then once it has been delivered, congratulate the attendees and empower them to take that enthusiasm to the heart of their institution. And we must never forget feedback. 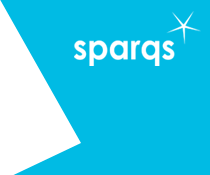 sparqs prides itself on enhancement and quality. Where better to receive feedback on both those ingredients than from the very students the learning experience affects?